2 days and 4 speeches, Ma Huateng talked about the reality of Tencent and the future of Internet. At the world Internet Conference, Ma Huateng delivered a speech at the opening ceremony, and then delivered two speeches. He also held a dialogue with Robin Li. The pressure of public opinion is Tencent, 20 years old. Standing at such a high level as the world's Internet giant, Tencent must bear the gaze ceremony. As Ma Huateng said, Tencent already has more than 40,000 employees. Technology and culture are two of the most important labels on Tencent, and they are also the areas in which they are most active. Tencent is the only company in the world that can achieve a certain scale by doing technology and culture at the same time. Of course, Tencent has also gained enough attention and respect from society. At the world Internet Conference, Ma Huateng delivered a speech at the opening ceremony, and then delivered two speeches. He also held a dialogue with Robin Li. And other Internet gangs, the exposure rate is far lower than Ma Huateng, Ma just appeared on the night of the 6 night, and a few friends in the street to drink a little wine, Robin Li has a speech and a dialogue. 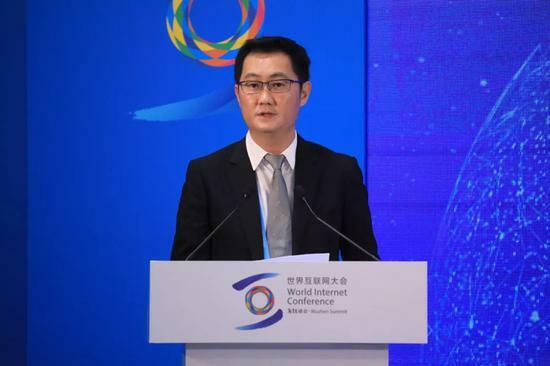 In the four speeches, Ma Huateng described the status quo of all dimensions of Tencent. Of course, he also confessed that as an old Internet person, he was thinking in the process of digital reconstruction of the real world. In the past few years, digital innovation has been greatly promoted, consumer Internet has been fully developed, and industrial Internet is in the ascendant. Tencent recently announced a strategic upgrade, hoping to take root in the consumer Internet, embrace the industrial Internet, and become a digital assistant in all walks of life. WeChat has a seamless connection to the user community, social network, payment function, etc. Now, 1.5 million developers have joined in the development of small programs, working with us to promote the development of small program ecology. With our joint efforts, the number of small program applications has exceeded 1 million, covering more than 200 sub-industries, and the number of daily users has reached 200 million. In 2012, we put forward a pan-entertainment strategy. In the first half of this year, we upgraded it to a new literary creation strategy. Not long ago, many friends were concerned about our company's third strategic upgrade and organizational structure adjustment. One of the measures is to integrate and form a new content student with stronger connectivity and higher degree of sharing. In order to make it more vivid, personalized and full of quality. Our digital culture business has achieved a leading position in the industry, which is a bright spot in the past 20 years. The scale of our network music products, the number of subscriptions of registered users and network video business, and the scale of works of network literature all lead the whole industry. We have initially fostered a complete digital cultural ecology, shaping a new business mode of cultural production, dissemination and consumption in the Internet era with IP as the core, greatly changing the basic features of cultural producers, disseminators and users, and breaking the whole production of animation, film and television, games, music, electronic competition, sports and so on. The chain of industry. At present, Tencent is the world's first gaming company, and the independent research and development of the crown glory overseas edition has been launched. Everyone is talking about the rapid development of the Internet, but we may overlook the back of the coin, that is, its security issues, as well as personal privacy issues, which will become more and more serious. Therefore, on the one hand, while promoting business, we have invested heavily in Internet network security. Tencent has seven safety-related laboratories, including many aspects. Our investment in domestic security is a very important part of the future. The other is how to protect personal privacy and personal information. As you know, Tencent has been under pressure recently. Many articles say that Tencent has no dream, that Tencent is not good at using data, that it can not do algorithms, that data is not connected, and so on. In fact, we have many discussions internally, and finally we should pay special attention to it as platform providers and operators. The data of foreign operators are too well known, and some articles can select the affected audience, which will bring unthinkable problems. Therefore, this is our special concern. On the other hand, you know that many of our products are used by teenagers, and we have the responsibility and obligation to go ahead. In the past year or two, we have done a lot of research on juvenile protection, including the real name of the network. We have done a lot of exploration on restriction and guidance for users of different age groups, which we may not know. We even apply our Face Recognition AI technology, including financial-level identity verification technology, to products. 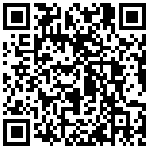 There are many ways to go in introducing our entertainment products into such services. Because now China's Internet is becoming more and more platform-based, but the harmfulness of the platform and so on, I think it is very important to adapt to the new situation, in terms of supervision, including how media public opinion can adapt to this new change, which is the next step for us to do a lot of work. This problem originates from the changes of PC Internet and mobile Internet in the past, but it has caused a major transformation in the industry. More than 90% of the Internet we are talking about now is mobile Internet. Now it is the eve of 5G launch. I believe this is the basis of great transformation in the future. Therefore, we are compelled to say that many fundamental changes, such as mathematical, physical, chemical, mathematical and transformation, have a great impact on the algorithm of artificial intelligence, including that the display material technology completely changes our entire computing environment, storage density, and the endurance of power storage, will change the computing links and industry; AI has a great influence on all aspects of production and life. I think the breakthrough in basic research has a huge impact on consumer Internet or industrial Internet. Because these things are not going to happen. There must be breakthroughs. I don't need a cell phone at all in the computing environment we will use in the future. When I talk to you now, your background appears in my mind. In the future, I will break through the theory of human-computer interface and communicate directly with your brain if I practice it again. On the one hand, there is a deeper understanding of AI algorithms, and on the other hand, the interconnection between human brain and human brain, and the whole future external network, I think this is meaningful. So, with these forward-looking studies, I think it will definitely change the way we use AI on the Internet. I think there will be many changes in the new man-machine interface in 10 years. If 5G plus VR, OK and computing power are added, there will be more practical VR computing software and AR computing software to some extent, and there will be quantum technology, which may have a preliminary strength for computing. Quantum computing extends to hundreds of times. This is also an epoch-making breakthrough. Now that BAT looks at the industry internet, I think Tencent has the biggest advantage. First, we do not directly access to business, we do our own positioning, we do not mention empowerment, empowerment or too high-profile, we help the traditional industry mainly, we provide some help, I think this is the traditional industry into the digital age most concerned about, do not do what I become you, you eat me up. I think this mindset is very much in mind. We put the position right and our position is very clear. The second advantage is that the huge user base of consumer Internet we already have has has become the source of industrial internet, connecting users to industrial services. This is our advantage. We are not only providing technology, but also providing a large number of people to connect them.